“I think, if you want to write a new narrative at some specific moment in the story of a city, it is important that you have to feel the transformation and see the transformation. So the physical transformation is important but always there is more a spiritual thing, as happens with emotional connections and inspirational things.” ______Architect Alejandro Echeverri. If you have an interest in Latin America or in urban matters, you will have read by now that the city of Medellín, Colombia has undergone a startling transformation in the past fifteen years. In the 1980s and 1990s, the name of Medellín evoked fearsome drug cartels, violence and terrorism. The Financial Times describes China’s changing demographics in this new video. Two important changes are a reversal in the dependency ratio (previously discussed here on this site) and a slowdown or end to the ‘migrant miracle’. 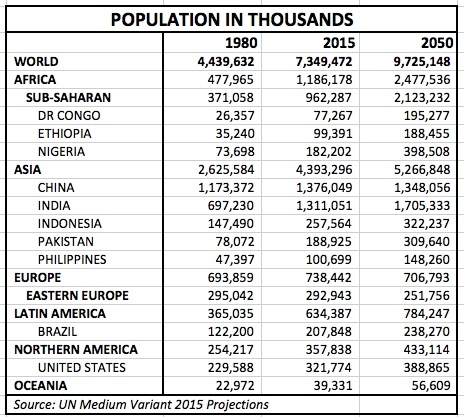 The demographic trend in Africa’s favour is that much of its young and growing population will move to urban areas in the near future. Increasingly, the case for investing in Africa is made on the basis that this “last frontier” is now in a strong position to develop, to urbanise its growing and relatively young population, and to foster a large middle class. The opportunities for individual South Africans to access investments elsewhere in Africa remain fairly limited. Even retirement funds and unit trust funds with mandates that enable them to invest in Africa’s markets have been slow to venture into this new frontier. Recent poor performance from showcase African funds and indices has not helped the cause, but could this be all the more reason to invest now? READ MORE. USA: Will Property Prices Need a Crutch as the Population Ages? What is clear is that this ongoing population shift holds important ramifications for the multifamily property sector, including senior and assisted living facilities. And it is also becoming an issue of increasing importance for commercial real estate investment researchers. “As Baby Boomers enter retirement age, many ’empty nesters’ may downsize, leaving their current homes in favor of smaller condos or age-restricted communities. Therefore, prices for large single-family homes located in high property tax areas could be under pressure over the next decade,” Tim Wang, senior vice president and head of investment research for Clarion Partners in New York, told CoStar News. “However, seniors today are often healthier and live longer; because of this we believe it is still premature to invest in assisted living or nursing homes.” READ MORE. DETROPIA Trailer from Loki Films on Vimeo. How Big Should Brisbane Grow? From a ‘big country town’ to the second-fastest-growing region in Australia: how big is too big for Brisbane? According to estimates used to draft the latest South East Queensland Regional Plan, substantial growth is expected to see the greater region grow to house 4.4 million people by 2031. In the plan, due for review in 2014, that population is spread over 11 regional and city councils including the Gold and Sunshine coasts, and requires 754,000 additional homes to have been built between 2006 and 2031 to accommodate the increase. The latest data from the Australian Bureau of Statistics shows the population of the Greater Brisbane Region (which excludes the Gold Coast and Sunshine Coast) was 2.15 million people at July 2011, a figure nearly half the state’s population of 4.47 million people. READ MORE. Region is already the world’s most urbanized, with 80 percent of the population living in cities. 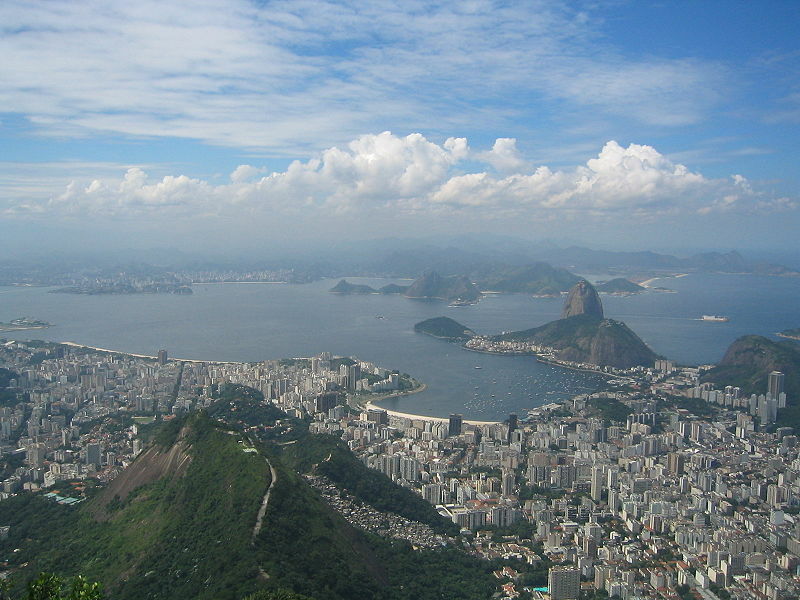 RIO DE JANEIRO – Almost nine out of every 10 people in Latin America will live in a city by the year 2050, and the region should use this moment of economic stability and slower population growth to make those cities more equitable, said a UN report issued Tuesday. The report by the United Nations Human Settlements Programme said the region is already the world’s most urbanized, with 80 percent of the population living in cities. This growth came at a cost: it was “traumatic and at times violent because of its speed, marked by the deterioration of the environment and above all, by a deep social inequality,” the report said. “The main challenge is how to develop in a way that curbs the enormous inequalities that exist within cities,” said Erik Vittrup, the head of human settlements of UN-Habitat’s regional office for Latin America and the Caribbean. “There are other cities that have been through these urban transformations and don’t have this level of inequality. It goes against the economic model in Latin America. Cities didn’t grow more inclusive; the prosperity wasn’t for everyone.” READ MORE.